He is staking out a career as a superb drummer with a bedrock of experience that has taken him through many musical genres. A diverse range of artists have employed Jim for his creativity and dynamic spark. Artists such as blues legends Mel Brown, Snooky Pryor, the original soul man Sam Moore, Peter Noone (of Hermans Hermits), The Mamas and the Papas, and Canadian country music stars Aaron Lines and Jason McCoy. Studies at the Banff School of Fine Arts and Humber College, years of club dates, recording sessions and international road tours led Jim to associations with many artists including the highly esteemed Mississippi blues guitarist Mel Brown. These partnerships have resulted in numerous accolades from the organizers of the W.C. handy Awards (USA), The Academie du Jazz (France), Soul Bag magazine (France), The Juno Awards (Canada), The CCMA Awards (Canada), and Maple Blues Awards (Canada). 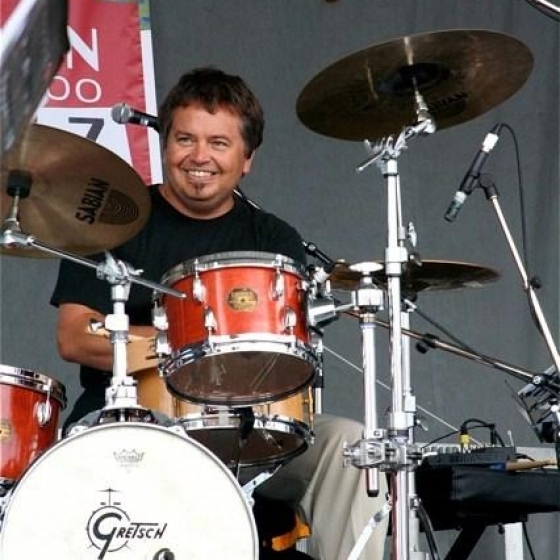 Along the way Jim's excursion into country music has gained him status as one of Canada's premier touring and recording drummers. As a leading touring and recording drummer, the opportunity to play on a number of albums and live shows has resulted in extensive television and radio airplay. Jim is a raw talent and continues to play and integral role in the ever-expanding Canadian music scene.